Look out for more competitions on the Maths Careers site. The excellent Maths Careers site are running a Photo competition for students resident in the UK age 11 to 19 and undergraduate. Full details are available on the site, the competition closed on 15th June 2012 and results will be announced soon. You can see some examples here. Note these particular competitions are now closed but keep an eye out for others and do have a look at the Maths Careers website – it is excellent. UK students for a chance to win a £100 Amazon voucher and have your poster displayed on the Maths Careers website design an A4 poster about a famous mathematician from the past. Prizes will be awarded in two categories – ages 11-13 and ages 14-16. The closing date is 13th January 2012. Full details are available on the Maths Careers website. Older students (ages 17 – 19) may be interested in the Article Competition, the closing date for this competition is also 13th January 2012. 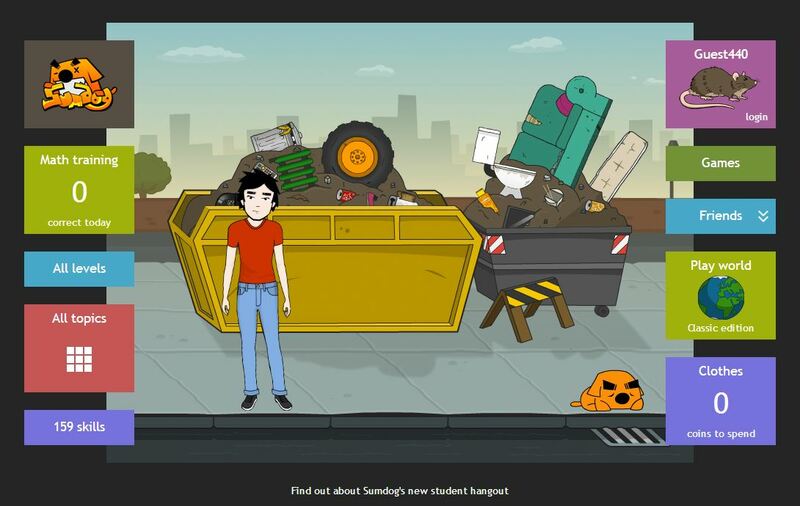 Sumdog has many games to help you practise a variety of numeracy topics at 10 different levels. Your teacher may have created school logins for your class, if not you can register yourself or just play as a guest. Once you have logged in or chosen to play as a guest you can have a look at all the games and make your choice. If you feel a little insecure on topics like directed numbers (many students do) you may find this a great way to practise.